Solid surface products are the newest among countertop and wall tile options, and rank as one of the most popular today. They offer an array of countless designs and color options in not just countertops, but integrated sinks, backsplashes, shower and tub surrounds. 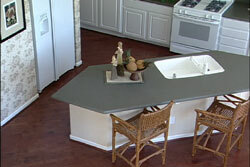 Solid surfaces are known for their durability, easy maintenance and their capacity to be renewed. This is the only type of counter you can actually sand out light scratches to rejuvenate its appearance. Being a man-made product there are a wide range of colors and finishes. Finishes range from matte to high gloss, each having its own maintenance instructions. 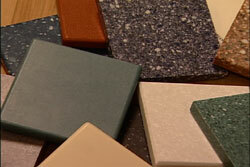 Be sure that the sample you see in the design center is the finish or gloss level that you are purchasing. 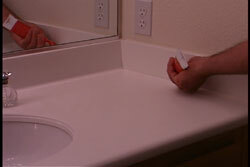 Although solid surface products are extremely durable there are some misconceptions that make them seem indestructible. 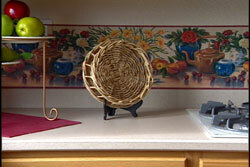 These products are not completely resistant to high heat. 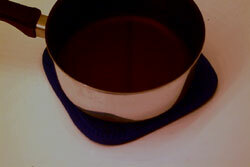 A hot pad or trivet is necessary to prevent discoloration to your counter. Nor are they completely scratch resistant, so using a cutting board is recommended. When selecting a color for your high-use countertops, such as in the kitchen, it's best to stay away from the darker colors as they will enhance scratch marks. 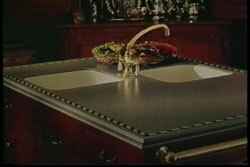 Solid surface materials may require seaming depending on the size of the area. Seams will be slight in appearance and will typically run from edge to edge and or on the edge detail.